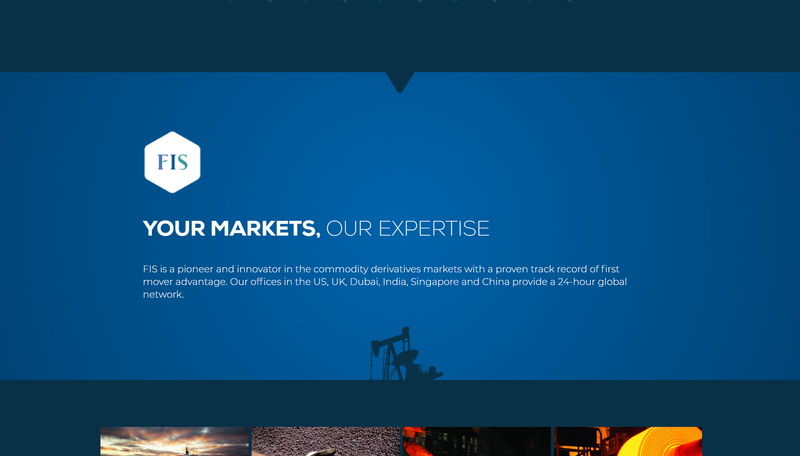 Freight Investor Services are a global leader in dry bulk commodity derivatives, with offices in London, Dubai, China, Florida and The USA. They are one of our biggest clients. They wanted a change to their website, and a simpler approach to online conversions. I decided a parallax design would be far better, less information and careful colour toning on the aesthetics. I initially designed the site multiple times in Photoshop prior to re-designing over their previous Wordpress build, which hosted over 1,500 technical analysis market posts. We have yet to provide their SSL certification, which is underway, and duplicate a version of their site for geographical visitors in China; note that China has banned Google.. so Google translate is not an option. Instead a duplicate of their site will be hand-translated to Mandarin, and we will be counting on China's leading search engine 'Baidu' to index the pages. We cannot therefore use Google Analytics and instead we will use an alternative analytics system to monitor traffic, worldwide. Great detail has been used to ensure the logo, visual branding, and other visuals render crisp and sharp in mobile devices and desktop devices. It is imperative that this high-traffic website is as good as it can possibly be.